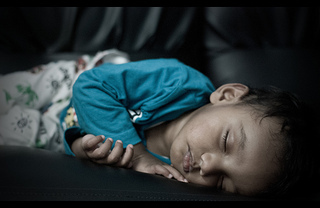 In my last blog article, “With Irregular Bedtimes, Children’s Learning and Behavior Suffer,” August 5th, I reported on two recent studies about the negative impact of poor sleep routines on young children’s learning and behavior. My question was, “What role should you [child care professionals] play in helping parents regarding regular bedtimes for their children?” The comments I received were interesting, informative, and indicative of the importance child care professionals give to sufficient sleep and regular sleep routines for children’s development and well being. I am grouping many of the important ideas received into four categories and sharing them with you. The suggestions from child care professionals about how to inform parents of the importance of regular sleep routines ranged from workshop and meeting topics, to sending home newsletters, notes and relevant articles, to one-on-one discussions. At workshops and meetings, “We should educate parents, preferably at a group forum, on the importance of sleep…[where] we share its benefits for wellness, alertness, productivity as well as the disadvantages attached to lack of sleep for brain development and brain function” (Bolande Adewole, Founder/Executive Director at The Learning Place). There were also suggestions to disseminate information in newsletters or by distributing articles, telling parents that “I read this great article on the importance of bedtimes. I have some copies here if you would like to read it. I would love to know what you think of it” (Barbara Harvey, Parents, Teachers, and Advocator, Executive Director) Also, “Having a simple checklist or notebook for them to track sleeping habits and results might be a helpful tool” (Jenni Clark, Professional Learning Consultant). Regarding having one-on-one discussions with the parents, “I would…discuss it when registering a child….” (Christine Wood, Educational Consultant, Child Care Health Consultant). Also, “We can talk with parents about the routines we have in our program and ask them to talk about the routines they have at home” (Dr. Donna Hinkle, Founder, Picky Parents). Many of those who commented cautioned that sensitivity towards parents is very important. “I find that if I ask the parent, without sounding accusatory, then it is well received and the parent feels free to open up about what could possibly be going on ay home….I’ve found that broaching the subject with a positive spin (‘Kate is usually such a happy girl, but today she seems a little off Is everything OK?’) most of the time will open the door for a parent to let you know” (Angela King, CEPC at YMCA of Greater Charlotte). “As always, building a positive relationship with parents is key before approaching potentially difficult topics. Only then do I feel comfortable talking about bedtime routines….I can tell them their child seemed tired, but unless we have that relationship, parents may become defensive….” (Andre Howard, Mentor Teacher/Preschool at University of Rhode Island). To add to this, “As a teacher it is important not to go accusing but to keep the door open to communicate….There is not one answer to the problem of being a parent, it is so difficult, so the teacher has to speak about the child’s bedtime but also know that most parents try to do their best….Communicate…” (Francoise Walter, Enseignante chez Education Nationale). And finally, “As an educator and parent, I say first and foremost TREAD lightly…Educate and inform in a non-threatening manner is best…” (Annett Simmons, M.Ed, Academic Consultant Interventional Educator Trainer Neuroscience in the Classroom). Regarding the importance of sleep and sleep routines, there were several interesting comments. “When I work with children who are brought to me for behavior problems I always begin with asking about sleep” (Amber R. Martinez, BA, CD[ICTC], MS). “Bedtime has a special routine that is consistent night after night. If done constantly babies just naturally learn bedtime and rarely experience problems” (Wanda Wallace, Newborn Care Specialist). And to sum it up, “I always emphasize to parents the importance of a routine before bed so the child gets used to when it’s time for bed….” (Cheryl Reed, Ofsted Registered Childminder at Helping Hands Childminding, Ruislep). The particular needs of working parents were pointed out in several of the comments. “Acknowledging and supporting the reality of working parents can go a long way toward building positive relationships and opening up conversations about compromise and solutions” (Andre Howard). Add to this “the chaos of modern life [which] makes it a challenge to be really consistent with naps and bedtimes. Especially for low-income families, where parents are probably working jobs with shifts that change every week, they need understanding and compassion and encouragement to be consistent with bedtimes. I think we often make the assumption that parents are permissive when they are in fact overwhelmed” (Alice Hale, Early Childhood Education Professional). One of the comments I received effectively provides a conclusion: “In my family childcare, an important part of our job is about providing timely/current and scientifically correct information to parents to support their efforts in raising their children. I discuss what family routines and expectations around sleep are. 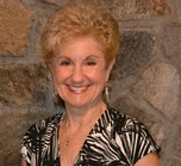 I pass along resources and make suggestions based on experiences achieved over 25 years working with children and families” (Deborah Arcaro, M.Ed, Teacher ECE/Owner Country Fun Child Care). To all of you who joined in the discussion about this topic in response to my blog article, thanks a heap. I always look forward to hearing your ideas.